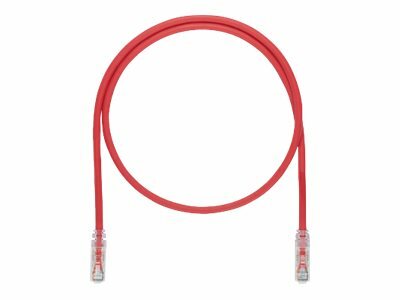 Category 6A/Class EA, UTP patch cords shall be constructed of 26 AWG stranded copper cable with an enhanced performance modular plug on each end. Copper conductors in patch cable shall be twisted in pairs and separated by a quadrant separator. All four pairs shall be surrounded by matrix tape and a flame retardant jacket. The patent pending matrix tape shall suppress alien crosstalk and allow 10 Gb/s transmission.